The project explores the spatial relationships between solid – void and the resulting interstitial spaces. The existing annexes are converted to voids within a new solid - remaining urbanistically consistent with the surrounding context. The voids become the most public areas of the new library, communicating with Asplund’s building, both in section and elevation. On either side of these voids, and in between the additional program, there is a gleam of diffused natural light where the sun has found the interstice in the building. The ghost of the old is present. The scars of the demolition are present, yet subdued. The project connects to Asplund’s library through an elevated plinth while maintaining the current plaza condition. Programmatically, this connection houses all of the 24-hour activities, hence activating the space. The intervention manipulates Asplund’s library slightly as to evoke the original design for the stair and to allow glimpses of the main space. The project extends the proposed underground retail mall through the neighboring building and transitions into the lobby of the new library. 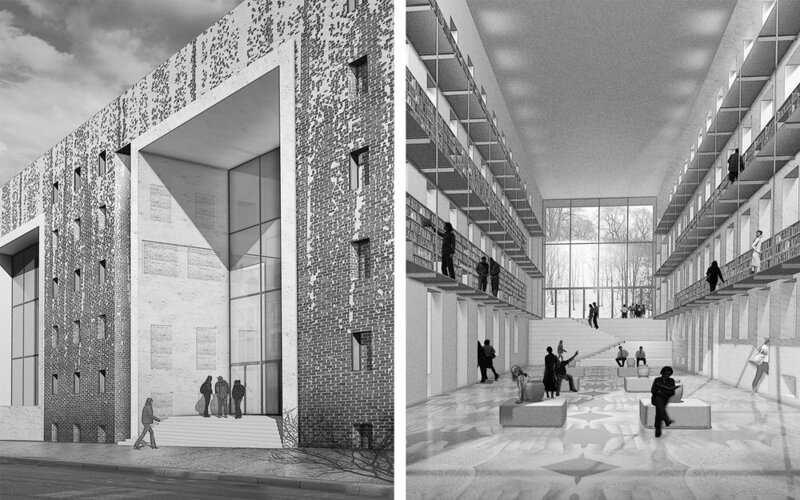 Urbanistically, the proposed addition establishes a presence on the street by maintaining a similar height to the neighboring buildings while ensuring that Asplund’s library would remain visually objectified. 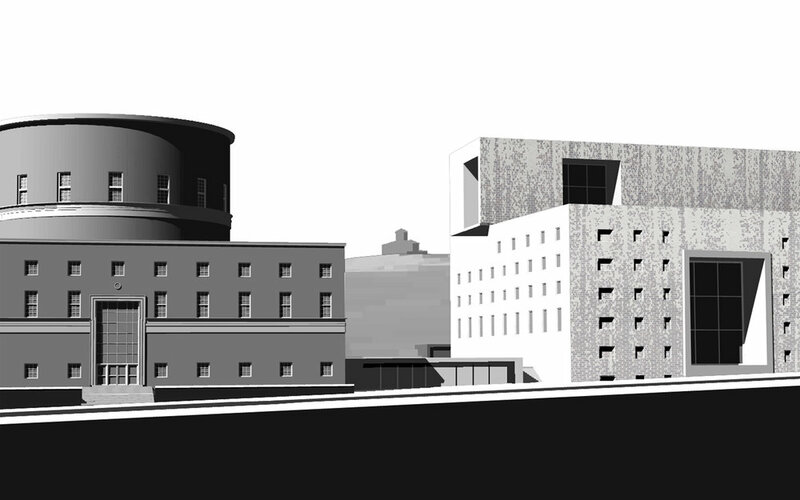 The massing of the building also respond to the scale of Observatory hill by introducing an oversized window, whose horizontality compliments Asplund’s platonic cylinder.